Normally I stick to freebies, but I love The Montgomery Zoo so much that I wouldn't want you to forget about Zoo Weekend this Saturday and Sunday from 9-6. 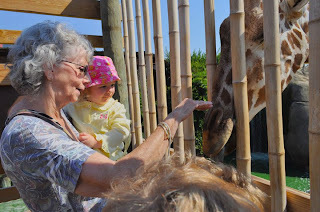 Combo admission to the Zoo and Mann Museum is: Adults $14, Children (3-12yrs) $10, Toddlers (2yrs and younger) FREE. 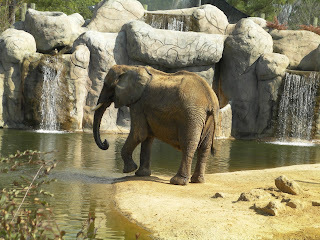 Zoo only admission is: Adults $10, Seniors (65 yrs and older) $9, Children (3-12yrs) $7, Toddlers (2yrs and younger) FREE. Montgomery Zoo members are FREE. Group and military discounts are available. Train ride: $3 per person. 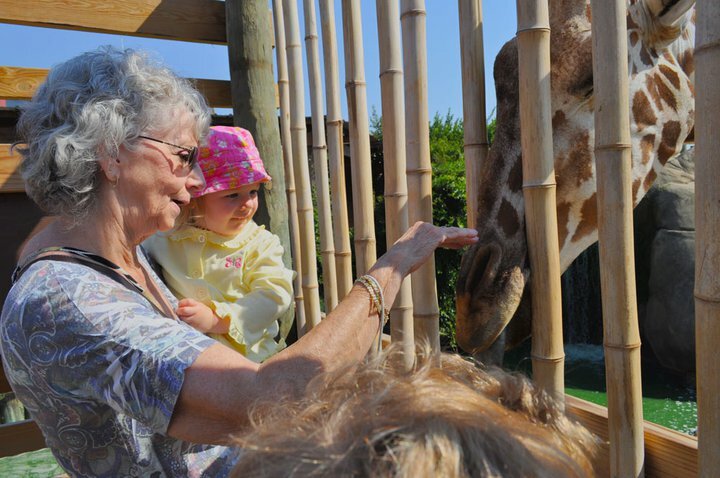 Giraffe Encounter: $2 per person. Pedal Boats: $8 for the first person, $10 for two, $12 for three and $14 for four; maximum of four passengers per boat, 30 minute ride. You can check out their website for more details on Zoo Weekend Events. I do want to highly recommend a membership to the zoo. ﻿Here's why: Take my family for example. Two adults, one child and one toddler-for all of us to go to the zoo, museum and ride the train it would cost a whopping $50. The family combo membership is $80, add the train for $25 and you get a whole year's worth of train rides and zoo and museum visits for only $105. The same amount as we would pay for two visits. Another example for those with toddlers: My super smart stay at home mom friend has a baby who just turned one. She got the individual plus one membership to the Zoo only for $35. The baby gets in free anyway and now she and her husband or any other family member or friend can go to the zoo anytime they want to. She says the baby likes the (newly added) baby swings so they spend a lot of time there. I must meet this super smart friend of yours :) Great post!